In our last blog entry, we asked for your help to figure out what Palmer Station was. Thanks to your research skills, we have learned that Palmer Station is a United States research center located in Antarctica. The United States actually has three different research centers in Antarctica. 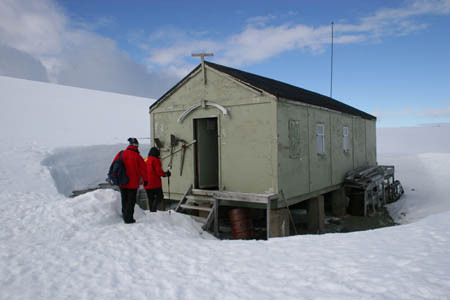 Palmer Station is located on Anvers Island on the Antarctic Peninsula. The map coordinates are 64 00 South and 64 00 West. 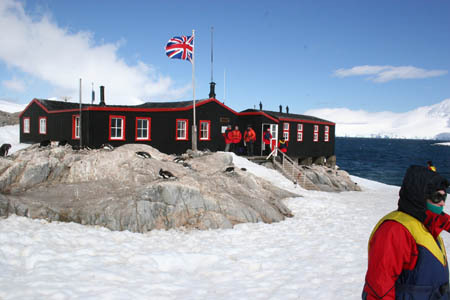 The station is named after the man who is usually considered the first American to see Antarctica: Nathaniel B. Palmer. Another fascinating fact about Palmer Station is that the maximum population is a mere 46 people! During the summer, there are usually 40 or so people living at the station. In the winter months, the population drops to about half of that (15-20 people). The station has a helicopter pad, science labs, and a pier. Marine biology is the focus of the science research at Palmer Station. They also have a radio receiver that studies lightning over the western hemisphere. What continents are in the western hemisphere? (Hint- we attached a map to help you out). Palmer Station is also located near some unique animals: penguin colonies, fur seals, leopard seals, elephant seals, orcas, humpback whales, and other really cool animals. We have some pictures of the animals below. I wonder whether the animals are there in winter. Yes, it is almost winter right now in Antarctica. Do you remember why? Guess where Meri and I are flying to next? If you guessed Palmer Station, you are correct! We are actually on a flight from Geneva to London right now. From London we are taking a flight to Australia (yes, back to Australia). The only flights into Antarctica this week are from Australia. Our flight is landing in London now. Meri will update our blog later tonight. We attached some really "cool" pictures of ice (in Antarctica). 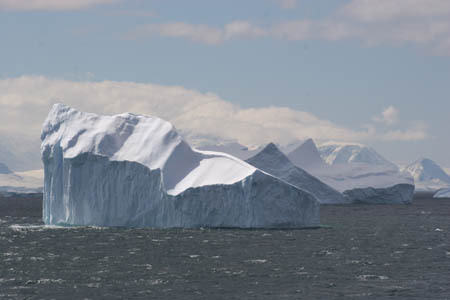 An ice berg- right side up. This one has not flipped yet and is very jagged. Does it remind you of any landforms? Photo used by permission. A© Copyright 2007 W. Pomeroy. All rights reserved. Look at the neat shape of the ice. 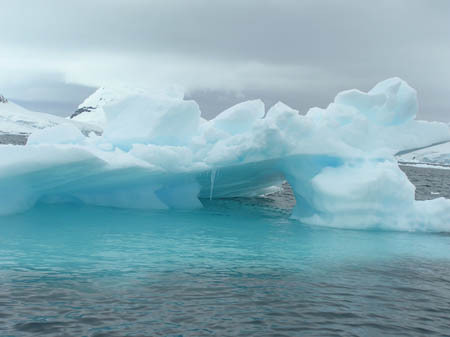 The blue color is caused by the dense packing of the ice, making light refract differently and appear more blue. What shapes do you see? Photo used by permission. A© Copyright 2007 W. Pomeroy. All rights reserved. Another iceberg! Photo used by permission. © Copyright 2007 W. Pomeroy. All rights reserved. Learn more about Palmer Station at this blog. What continents are in the western hemisphere? Holy Idaho! Geo and I are on a LONG flight from London, England to Sydney, Australia. Uncle GT called us on our cell while we were in London. He is flying to Australia to meet us on a government helicopter tomorrow night. We are actually going to fly with him to Palmer Station. Holy Idaho! I am so excited. Apparently, we are stopping at a place called South Georgia Island. I guess this is another island near Antarctica. We have been learning a lot about Antarctica. Did you know that the South Pole was located at Antarctica? The continent is about 1.5 times the size of the United States. It is about 14 million square kilometers. Most of the continent is south of the Antarctic Circle. The Antarctic Circle is an imaginary line (similar to the equator) that is found around 66 00 South latitude. Do you remember what imaginary line is found at 0 degrees latitude? Many countries have "claims" on parts of Antarctica, similar to the way Palmer Station is owned by the United States. Some of the other countries with "claims" include Australia, Argentina, United Kingdom, Chile, and MANY others. The continent of Antarctica has a population of ZERO. But, there are researchers who reside there for the summers, winters, or both. There is NO arable land in Antarctica. In fact, it is a DESERT! Imagine that -- an Arctic desert. Where else did we see huge deserts? 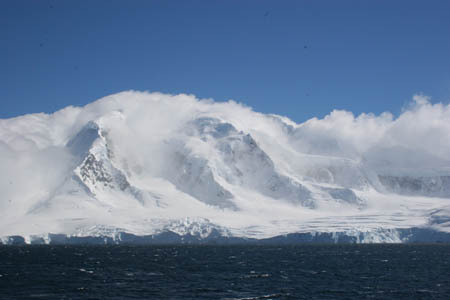 Antarctica is the coldest, driest, and windiest continent in the world. The continent does have a lot of natural resources: chromium, nickel, platinum, gold, coal, iron ore, and many others. Do you think that is why Phoebe is interested in Antarctica? Here is a picture approaching the Antarctic peninsula. Photo used by permission. ? Copyright 2007 W. Pomeroy. All rights reserved. 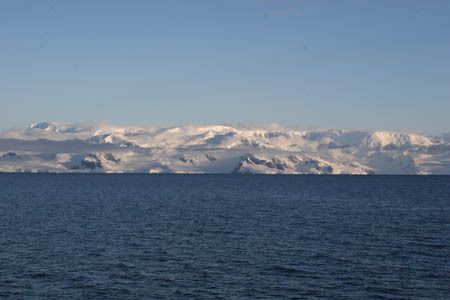 Here is another picture of the Antarctic peninsula. Photo used by permission. ? Copyright 2007 W. Pomeroy. All rights reserved. Tuesday we spent a relaxing day (mainly sleeping) in Sydney, Australia. Uncle GT met up with us late in the evening and briefed us on what was going on. Phoebe Equator is DEFINITELY at Palmer Station. She purchased a VERY expensive ticket for a ship heading from Sydney to Palmer Station. She is not due to arrive in Palmer Station until Thursday morning. She also purchased a ticket to take a crate on the ship (which we are pretty sure is Dewey, the truth sniffing dog). Why would Phoebe be taking Dewey to Palmer Station? What type of research would she be doing in the Antarctic Circle? Do you have any ideas? Here is a picture we found of one of the buildlings at Palmer Station. I can't wait to get there! Photo used by permission. ? Copyright 2007 W. Pomeroy. All rights reserved. Holy Idaho! Guess where we are RIGHT NOW! We are in a U.S. government helicopter. Uncle GT is here, along with several other U.S. investigators. We are just about to land in South Georgia Island. South Georgia Island is another research center island, but it is owned by the United Kingdom. Uncle GT called ahead of time to make sure it was OK for us to land at South Georgia Island to refuel our helicopter. Holy Idaho you should see the Emperor Penguins that we can see while we are landing. They are amazing! We took some pictures. Here is a picture of South Georgia Island. What does the flag represent? This building had a post office and small gift shop. We got our sister, Pandora, a gift. Photo used by permission. ? Copyright 2007 W. Pomeroy. All rights reserved. 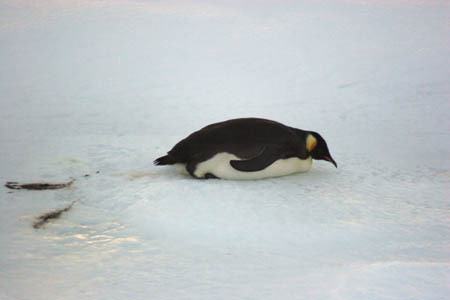 Check out this Emperor Penguin. It was floating on an ice berg as we were landing!! These penguins are around all year. Photo used by permission. ? Copyright 2007 W. Pomeroy. All rights reserved. We got off of the airplane for about 15 minutes, but then it was time to take-off to get ready to rescue Dewey. I can't believe that in less than 12 hours we will come face-to-face with Phoebe and FINALLY rescue Dewey. Meri and I have been thinking about our journey. We both have favorite places that we have visited. My favorite spot was South America - specifically the Andes Mountains (remember we had to "rescue" our clue at the cliff). Meri, on the other hand, loved ALL of Europe (especially the trains). Which locations were your favorites? Antarctic Circle - The Antarctic Circle is an imaginary line (similar to the equator) that is found around 66 00 South latitude. arable - land that can be used to grow crops. latitude - the lines that run across (east and west) a map. Lines of latitude measure degrees via north or south. The equator is at 0 degrees latitude. natural resources - any substance that is made by nature and used to enhance the lives of living things. Some examples of natural resources include sunlight, minerals, soil, and water. Palmer Station - Palmer Station is a United States research center located in Antarctica. 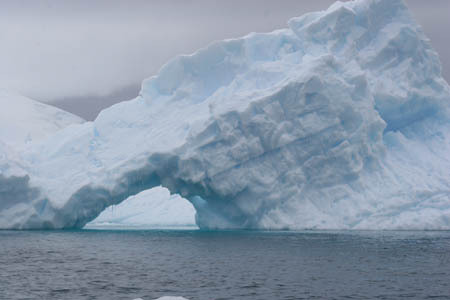 The U.S. has three research centers in Antarctica. Palmer Station is the only one located north of the Antarctica Circle. United Kingdom - located off of the mainland of Europe. The United Kingdom includes England, Northern Ireland, Scotland, and Wales. There are 60,000,000 people that live in the United Kingdom. western hemisphere - all land and water west of the prime meridian. Understands the characteristics and uses of maps, globes, and other geographical tools and technologies. Grade 3-5: Knows the basic elements of maps and globes (title, legend, cardinal, scale, grid, meridians, time zones, etc.). Grade 3-5: Uses map grids (e.g., latitude and longitude or alphanumeric system) to plot absolute location. Grade 6-8: Understands concepts such as axis, seasons, rotation, and revolution. Knows the location of places, geographical features, and patterns of the environment. Grade 3-5: Knows major physical and human features of places as they are represented on maps and globes. Knows how to read different maps: road, relief, globe, etc..
Grade 3-5: Knows the approximate location of major continents, mountain ranges, and bodies of water on Earth. Grade 6-8: Knows the location of physical and human features on maps and globes (e.g., culture hearths such as Mesopotamia, Huang Ho, the Yucatan Peninsula, the Nile Valley; major ocean currents; wind patterns; land forms; climate regions). Grade 6-8: Knows the relative location of, size of, and distances between places. Understands the characteristics and uses of spatial organization of Earth's surface. Grade 3-5: Understands how changing transportation and communication technology has affected relationships between locations. Ease of travel between some and difficulty getting to some others because of transportation and how people move and shop from one to the other because of the ease (trains, road systems, ferries, etc...). Grade 3-5: Knows different methods to measure data (miles, kilometers, time, etc..). Grade 6-8: Understands distributions of physical and human occurrences with respect to spatial patterns, arrangements, and associations (e.g. why some areas are more densely settled than others). Understands the physical and human characteristics of a place. Grade 6-8: Knows the human characteristics of places (e.g., cultural characteristics such as religion, language, politics, technology, family structure, gender; population characteristics; land uses; levels of development). Grade 6-8: Knows the physical characteristics of places (soil, vegetation, wildlife, etc..). Knows the physical processes that shape patterns on Earth's surfaces. Grade 3-5: Knows how Earth's position relative to the Sun affects events and conditions on Earth. Understands how physical systems affect human systems. Grade 6-8: Knows how the physical environment affects life in different regions (e.g., how people in Siberia, Alaska, and other high-latitude places deal with the characteristics of tundra environments; limitations to coastline settlements as a result of tidal, storm, and erosional processes).